Premium Jet underwent testing by the global leader ARGUS Rating, which carefully examined Premium Jet, its fleet and pilots. The result? An above-average assessment, resulting in the ARGUS Gold Rating. 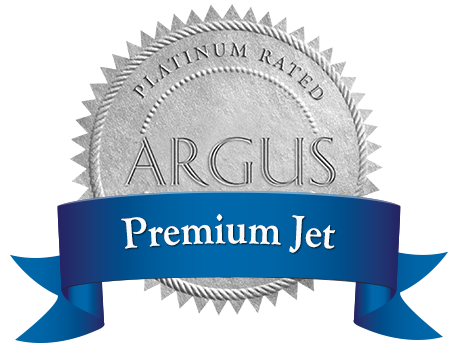 The ARGUS quality seals denote outstanding charter providers around the world, so it is only logical for Premium Jet to now also wear this prestigious medal. It fits well with the company, its extremely experienced experts, and transparent corporate culture; because our focus is centered wholly on safety, and on the high standards and requirements of business travelers. “Premium” is not just part of our name; it also makes up the core of our company philosophy.